In 1996, I bought a brand-new Honda Civic EX coupe. Two doors, a sunroof, and a sporty little package that was perfect for me, myself, and I. It was my first new car, and I can still remember the way it smelled. That Civic was my partner to freedom, and we were inseparable. Several vehicles have come and gone since then, but nothing was quite like the feeling of buying my first new car. Now that I’m a mother — albeit a mother who is a part-time auto journalist who gets to drive various cars all year long (*fist pump*) — I drive a practical vehicle. My current steed is an SUV with three rows and seats seven for excursions with my tween son and his buddies. It’s a beautiful SUV, but it’s a little… well… pedestrian. Sometimes, I let myself daydream about what kind of vehicle I’d drive if I could have one on the side (if I had a spare half-million dollars or so, of course). A Lamborghini Aventador S, perhaps. Or a Ferrari California. Or maybe a Dodge Hellcat. All great cars with a WOW factor; not, perhaps, smart choices when you have a kid who needs to cart around baseball gear and you’re the parent who often provides a cooler full of Gatorade for games. In the “compact luxury crossover” segment, Alfa Romeo’s 2019 Stelvio (base price a little over $40,000) shines. It gets up to speed quickly, like when you’re merging onto a busy highway or finally getting around the 20-under-the-speed-limit granddad in a 1998 Oldsmobile. The Stelvio’s crash test scores are stellar, rivaling other manufacturers who are known for their commitment to safety. All models have in 2019 have an 8.8-inch infotainment system with Apple Car Play and Android Auto as standard. The thing about this vehicle is that it has the Alfa Romeo swagger, but it also offers decent space for cargo (about the same as a Honda Pilot), upright and bolstered seats that give you a comfortable view of the road, and ample leg space in the back seat. If your kids are 0-2, this may not be the optimal vehicle as rear-facing car seats require a little more room than you might want to give up on the front seats to accommodate them. 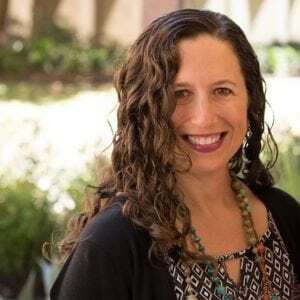 However, once the children are in a forward-facing convertible or booster seat, Cars.com gives them an A grade in their comprehensive car seat check. And if you have teenagers, they can kick back and enjoy the feel of Italian machinery with their devices hooked up to USB plugs in the back. Oh, come on, you’re thinking. A Kia? 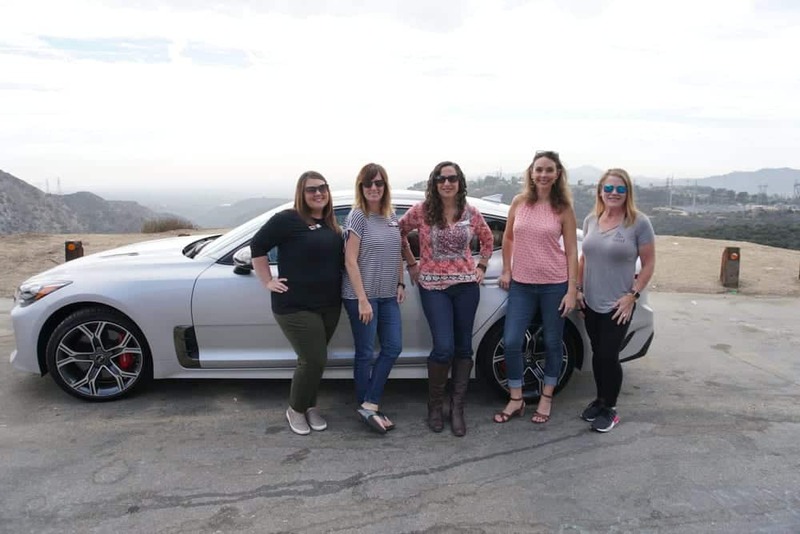 With the horsepower of a Porsche 911, the Kia Stinger is a four-door beast you can use to deliver the kids to school and then zip off, hugging the curves as you drive away. It’s a little longer than a BMW 3-series and has a longer wheel base (the distance between the front and wheel tires) than the Audi A5 and Lexus GS. And it has more cargo and leg room than the A5, the BMW 640i, and the Porsche Panamera. Kia’s not messing around with this sport sedan, and they have put a great deal of energy and thought into it. Their vision was a performance vehicle that could “fit two couples and their things, to arrive in style at a fabulous location, and to also do it incredibly rapidly, ride comfortably, and with a lot of speed.” Date night: check. At the same time, this is a vehicle you could happily take to the kids to the movies, or Parkour class, or the dry cleaners. It offers slightly more cargo space than a Ford Escape, so throwing a double stroller in the back isn’t out of the question. And with lots of leg room in the back seat, you can easily fit two car seats comfortably. Starting at $32,900 (closer to $50K with all the bells and whistles), this is one performance sedan you can afford and still take a ski vacation in Breckenridge for the holidays. This is not a pickup truck. Well, technically it is a pickup truck so let’s just say it’s not your *ordinary* pickup truck. You need to see the interior, because it’s the most beautifully appointed pickup truck you have ever seen. Once you do, you’ll know what I mean. If you like the feeling of power a large vehicle gives you on the road and don’t mind parking it, this is a great choice. Hear me out: with a tonneau cover (think “lid for the open truck bed”), the Ram 1500 Laramie Longhorn (starting at $50K) becomes the perfect road trip vehicle. All of your luggage and supplies can be stored under the cover, including your coolers, fishing poles, beach chairs, skis, or anything else you need for a great family trip. Why would I bother with a pickup truck when I could go with an SUV or a minivan? you might wonder. You’d be surprised to find that the inside of the truck is vast and plush, with hand stitching, soft leather, and an available 12-inch touchscreen that is second to none. Opt for the Ram Box, which gives you a mess-free place to put your groceries and keep your gorgeous interior clean. The Ram 1500 seats 6 with a Crew Cab, which means there are two rows and four doors. Three adults in front and adults or kids in the back fit beautifully, and you’ll have no trouble with either rear- or front-facing car seats. Cowboy hats and spurs not included. 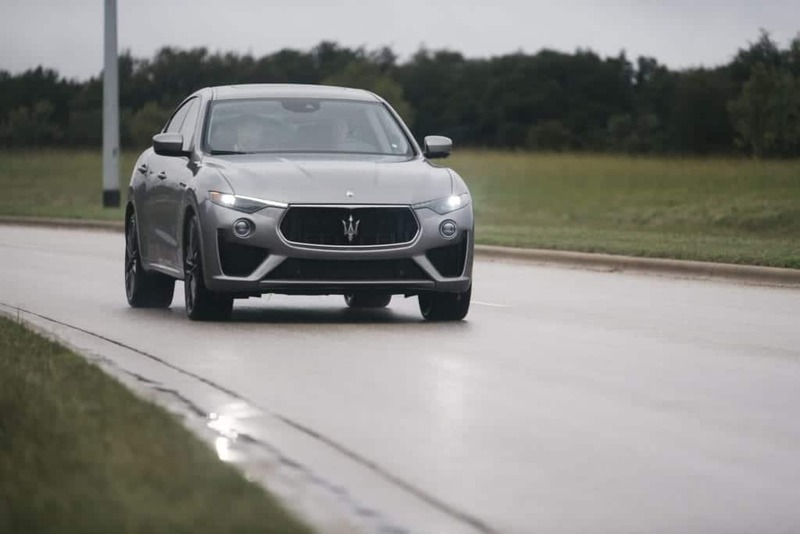 Currently, starting at $75,980, some in the car world might say that the Maserati Levante is surprisingly affordable, considering that each engine is hand-built at the Ferrari factory in Maranello, Italy. Intelligent all-wheel drive means you can take it practically anywhere, from tailgating at the football game to picking up the kids at dance class. You’ll feel like you’re driving a sports car with the room of a crossover in a Levante, and the cool factor is undeniable. The powerful engine revs up at 550 horsepower, which is probably more than you’ll ever need, but it’s always better to have more than you need than not enough, I always say. It’s a beast encased in couture, and you can opt for premium perforated leather, Pieno Fiore natural leather or Zegna silk upholstery inside. And the hand-stitched logo on the headrest reminds you that you’re driving a work of art. For sure you’ll turn heads in the carpool line, but don’t blame Maserati if the Booster Club president asks for a bigger donation this year after they see you driving this beauty. Yes, it’s true: Lamborghini has created a [whispers] family car [/whispers]. At 650 horsepower, it’s almost as fast as its Huracán Performante sports car. And if you have ever driven one of the legendary carmaker’s iconic vehicles, you’ll understand what a thrill that is. 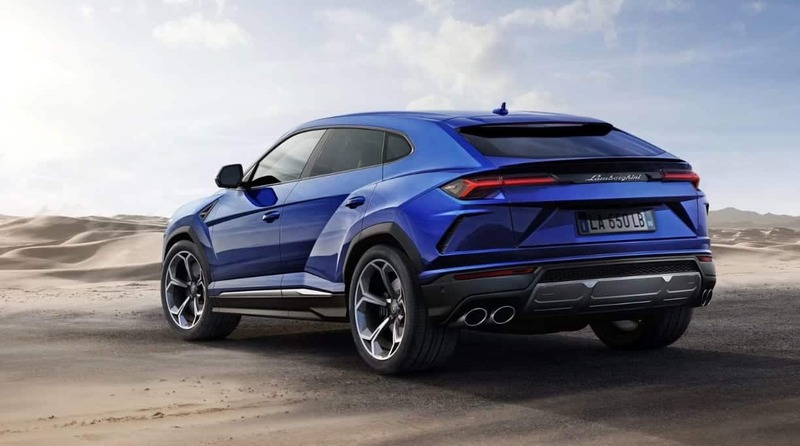 Lamborghini calls the Urus a “Super Sport Utility Vehicle,” which means that it basically turns into an airplane and fights crime, too. OK, maybe not. But it does give you the thrill of that distinctive Lamborghini sound (basically, imagine the sound of a Formula One race car whizzing by) with enough seats for you, your partner, and two kids. Just don’t ever let them drink juice boxes in the back, because at $200,000, this vehicle is one you’re going to want to keep clean and fresh. Take your pick – if you have to spend much of your day in the car, traveling to work, school, and extracurricular activities with the family, you might as well have fun doing it in a sweet set of wheels.